Choose Chicago – But What Brand Do We Want Them To Choose? Here, go craft a brand that speaks for an entire city. It’s a gigantic challenge for the Choose Chicago team that CEO of Johnson Publishing Desiree Rogers heads. Chicago needs a fresh tourism campaign that captures the imagination of potential travelers abroad who can spend a pretty penny on their destination of choice. Why? There’s a new set of questions. There’s crime. There’s teacher layoffs. There’s a pension crisis. There’s an inordinate amount of debate over Wrigley Field Jumbotrons. And we’re still feeling a bit of a sting over not getting the Olympics and what that means in terms of how the world views our city. A view from the quieter, more family-friendly Ohio Street Beach. Just one of the many pleasant surprises you can find in Chicago that you don’t have to look too hard for. Well, let’s start by not relying on tired old cliches to describe ourselves if we want to brand differently. Yet, in a recent interview with Chicago Magazine, Rogers described some ads that frankly, sound like the kind of tourism ad messages that anybody could come up with in their sleep. Chicago Magazine: What are the U.K. ads like? Desiree Rogers: Tongue in cheek. From “Over the pond, we have a lake” to “You have Big Ben, we have a big Bean” to “Put down your shepherd’s pie,” with an image of a deep-dish pizza. It’s on double-decker buses, taxicabs, even the receipts in the taxis. That’s a little too cutesie. The kind of expected stuff that everybody thinks about. Yes, we have a lake. And pizza. And hot dogs. And the Cubs. And the immortal Frank Sinatra singing about us. But please, let’s stop going to that well. We just can’t keep going there if we’re going to change perceptions. People know all that about our city without coming here – right down to the tagline of “Chicago: Second To None.” We get it. We’re the Second City. Never heard that one before. Can we get real here and step into the minds of potential tourists? 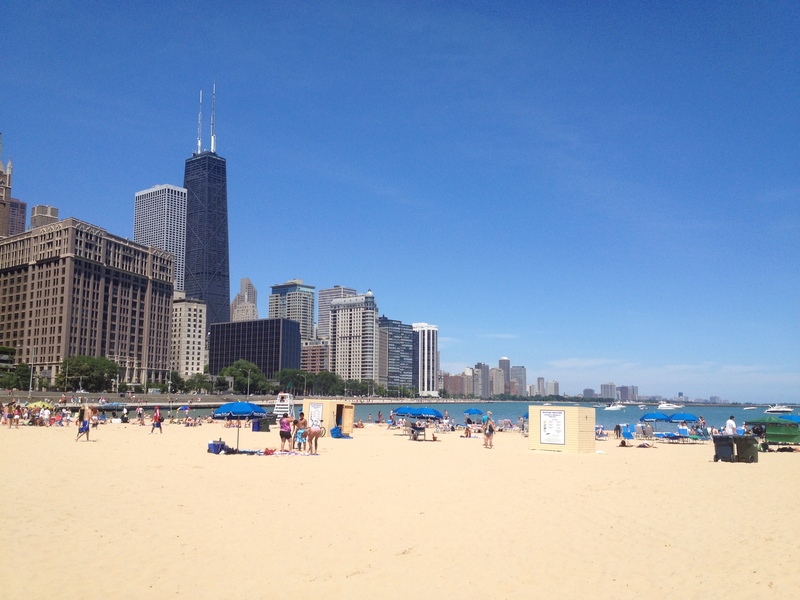 You don’t invest thousands of dollars on an overseas trip to Chicago because you want to compare bodies of water and try some pizza – even if the pie is fabulous. That’s Cliche Chicago. Not why you Choose Chicago. If we dig deeper, we know that Chicago is so much more. We have to raise the profile of the hidden gems that make our city so worth discovering. Let’s take music. If I see one more reference to the Blues Brothers, I’m going to puke. We know the movie. It was also done about 35 years ago (ignoring anything attempted by Jim Belushi to channel his brother). We’ve got a lot more going for us in the present day we can talk about. People want great quality blues and jazz? They can have a fabulous experience at Buddy Guy’s Legends. The Green Mill. Kingston Mines. They know the Chicago Symphony Orchestra’s world-class reputation, but have they taken in the experience of listening to live classical music (CSO or Grant Park Symphony Orchestra) under the stars in Millennium Park? Or let’s take restaurants. Look, I love a cheezeborger, cheezeborger from Billy Goat Tavern as much as anyone. Ditto the pizza from Gino’s. But let’s throw a little more into the mix. A lot more. We’ve got hundreds of options populating every possible ethnicity known to mankind. Let’s showcase those too. I’m not imagining the fact that there are 300 options or so highlighted every month in Chicago Magazine. It’s a foodie’s paradise. My thought? Take everything that the average person would know or guess about Chicago without coming here and wipe it right off the table as an option. Yes, they know Oprah and Michael and Da Coach hung their hats here. That’s over and done. They know about Al Capone – that’s really, really over and done. And don’t get me started on the tourist trap also known as Navy Pier. This town’s charm – for someone who has spent the majority of his life in it – is that there is always a new restaurant, new bar, new concert experience, new shopping destination, new sporting event, new architectural marvel to tour, new museum exhibit to absorb and more. Chicago is an ever changing-experience. It is never boring. And so much of it is wonderfully accessible without overwhelming its guests in a bad way. It is the easiest big city to customize your experience around with a myriad of options and still not feel as though you left so much more on the table unfulfilled. From those experiences, you tell your friends upon your return of the things you never thought you’d partake in in Chicago. It whets their appetite to learn more. And they do. In so many ways, our brand can be a best kept secret and some would say almost too secret for their tastes. But if we’re going to raise the profile and convert event opportunities from a short list of bids to a victorious outcome, we have to share the stories of our city that nobody could hope to read in a standard Wikipedia entry about Chicago. There’s thousands of those stories being told by visitors who are single, married, have kids, retired and more. That’s why traditional advertising isn’t the best way to share that story unless it drives the reader to a place where they can read more online. We need lots and lots and lots of positive Chicago experiences shared. I’m very skeptical you can get there in a 3-5 ad campaign series. You can get there in a series of social media posts, however. So if we’re going to plaster London and other European cities with our advertising, let’s make sure it’s only the beginning of the conversation, not cute throwaway headlines that go nowhere. For example, can we follow each day of an English couple’s first stay in Chicago? Can we follow them to their romantic stops? See their pictures and videos? Learn more about why they chose to come Chicago and to ramp up the interactivity, even recommend places for them via social media in the moment while they’re here? And when they return home, can we encourage these travelers to be tour guides for future travelers considering Chicago? There is massive opportunity to share multiple stories simultaneously via Facebook, Twitter, YouTube, Pinterest, Instagram, Google Plus and more – and in fairness, Choose Chicago is doing a solid job of that storytelling online, particularly on Facebook. The concern I have is that I wonder what’s taking the lead in telling the story media-wise (traditional or social) and message-wise (here’s an idea – let’s use images of real people who are actually still alive and, if we’re going to use real residents, let’s choose ones that live here throughout the year rather than celebrities who call it home among their multiple other homes. Deal?). It’s time to step away from the comfort zone of what everybody assumes about Chicago and share the unexpected, unplanned and remarkably surprising it can and does so often give. After all, that’s what the best vacations are made of.